More new products this week. We have some cool LED lights and an all-in-one embeddable audio player. Welcome back everyone. We're back with more new products, and a couple of demos. This was my first time doing a video with Nic, and it was just as awkward as I hoped it would be. Also, putting those LED strands in water for the first time was pretty sketchy. The datasheet says they aren't rated for submersion, so we had to test it out. For what it's worth, they've been in the water for a few days now, and still work fine. We're pretty excited to announce the new LilyPad MP3. The board combines a LilyPad 328, with an MP3 Player Shield, and even a stereo amplifier! It's a pretty amazing board that makes embedded audio a breeze. Add an illuminated rotary encoder, battery and some speakers and you have a fully functioning music player that can be easily embedded. 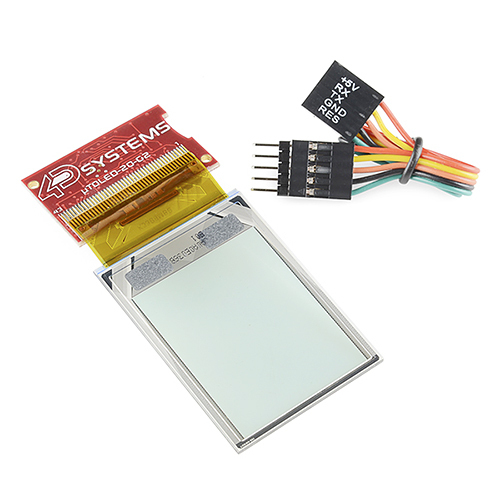 If you need (or just want) a transparent OLED display, 4D Systems has you covered. The uTOLED-20-G2 is a 128x160 2" transparent OLED display that can be controlled over serial, or with programs loaded on a microSD card. Everyone loves LEDs and it seems every other product post, we get a new type of LED in stock. These LED String Lights are neat because they are super easy to use. Just give them 12V and they light up. 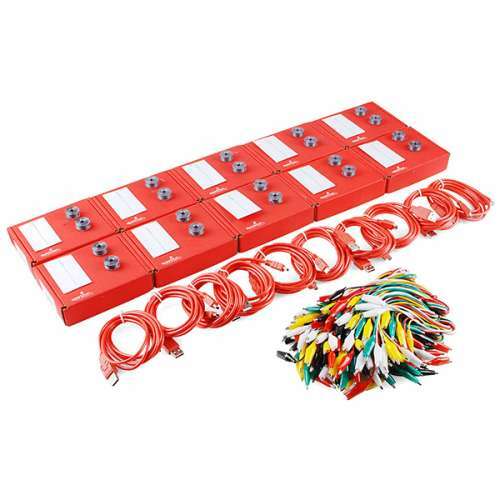 If you need to string up a bunch of lights, why bother with soldering and wiring? They are made with thin wire that's coated so they don't short out. There are little LEDs embedded every 10cm or so, and come in 10M lengths, in various colors. We have two new RFID readers from ID Innovations. 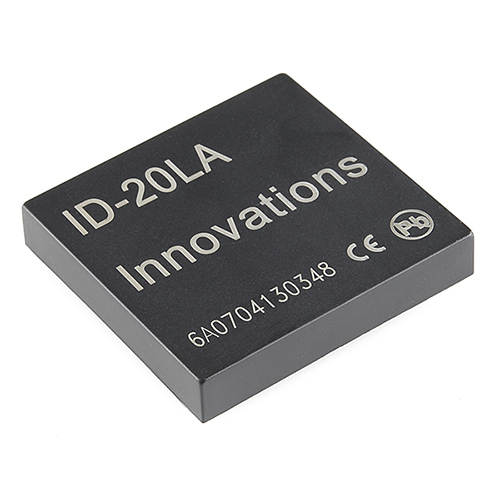 The ID-20LA and ID-12LA are new revisions of their older counterparts. The main difference is a lower operating voltage. They can now work as low as 2.8V. 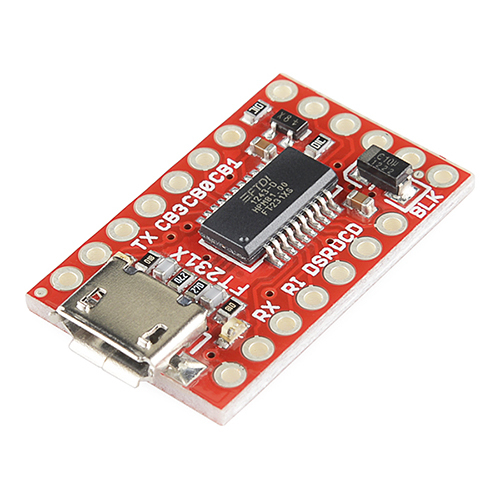 This week, we also have a new breakout board for the FT231X from FTDI. The breakout board is very similar to our standard FTDI Basics, but uses the FT231X instead of the FT232RL, and breaks out all the pins. And lastly, for all the educators out there, we have a new LilyPad Lab Pack. The LilyPack includes 10 Protosnap LilyPad Dev boards, extra needles, thread, cables and alligator clips. It's everything you need to teach a class, run a workshop, or just stock up your pantry. Well, that's all I have for this week. Thanks for watching, reading, and just being you. We'll be back again next week for more new products, see you then! does anyone at sparkfun not have a beard? still working on it. we want to do it right this time. Hey Robert, If you want to use your new Propeller PCB to control the Mecanum robot, I've got code that could make it easier. I understand trying to use four quadrature encoders with an Arduino can be challenging. If you do what to use my code, let me know. I'd be glad to help with a SparkFun demo. thanks. we're still working on it, and I think we're to the point of shooting the video, so we're pretty much done. thanks for the code though. So the LED Strings that you put in water "against manufacturer advice" also get sold to customers ? no, the demos won't get resold. He was raised by a family of beavers and is having trouble adapting to human culture. We give him some tree bark once in a while to cheer him up. Fun video - Nick is going to become a cult favorite I predict. Now we need a transparent monochrome LCD the same size and resolution for black and masking. Also, middle-click seems to be broken in various places on the site now. 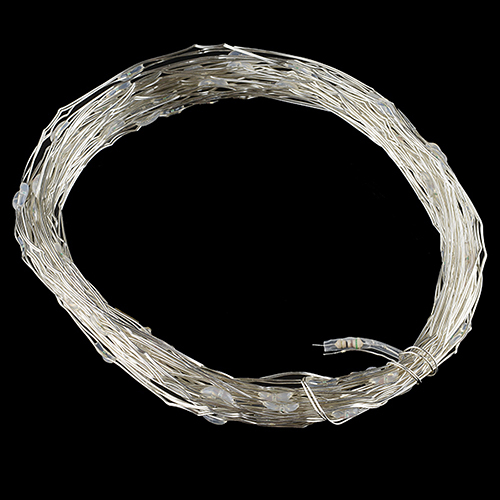 Can the 10m LED wire be cut into shorter lengths to run at lower voltage? I think the question is... where and how. According to the datasheet 'schematic', all the LEDs are in parallel. Or maybe they are in groups of 25 and each group is in series. It doesn't show resistors at all, but the photo just shows the 1 at 51 Ohm. Which makes little sense unless there's 4 in series with a voltage drop of 2.8V to get roughly the 16mA claimed elsewhere in the datasheet. It would also be an odd (let's put it that way) design but then again it's cheap. Say, is there some reason why all my access to the Sparkfun website is through https? I am getting tired of having to click on the security dialog box even time I read a news item because stuff is stored on a non https location. We update the whole site to be https-only a while back - we don't have anything to hide, but we don't like the idea of folks being able to snoop on your trafic. We're working on updating all the embedded assets (things like youtube videos and such) across the site to be served over https to get rid of the warnings, thanks for your patience! Today's post is fixed, so you shouldn't get any warnings loading the home page.